These yummy snacks are the perfect low-carb finger food! They're full of healthy fats, protein, and delicious creamy flavor! In a medium bowl, combine egg whites, avocado, hot sauce, and salt and pepper. 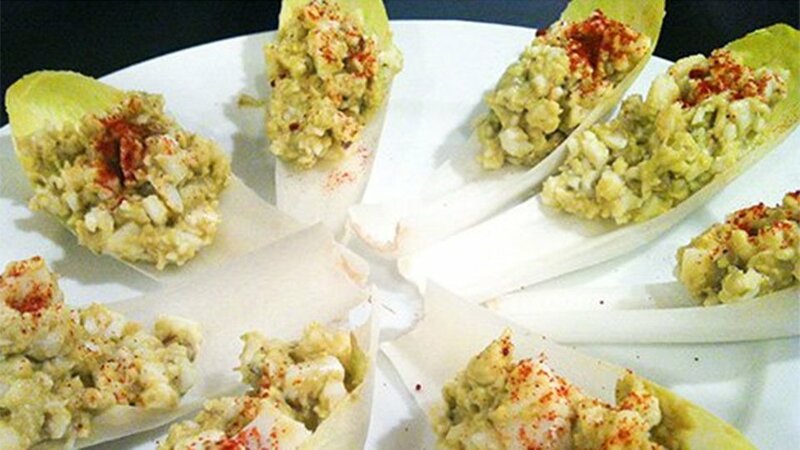 Fill endive cups with egg salad filling. Sprinkle paprika on top and enjoy!